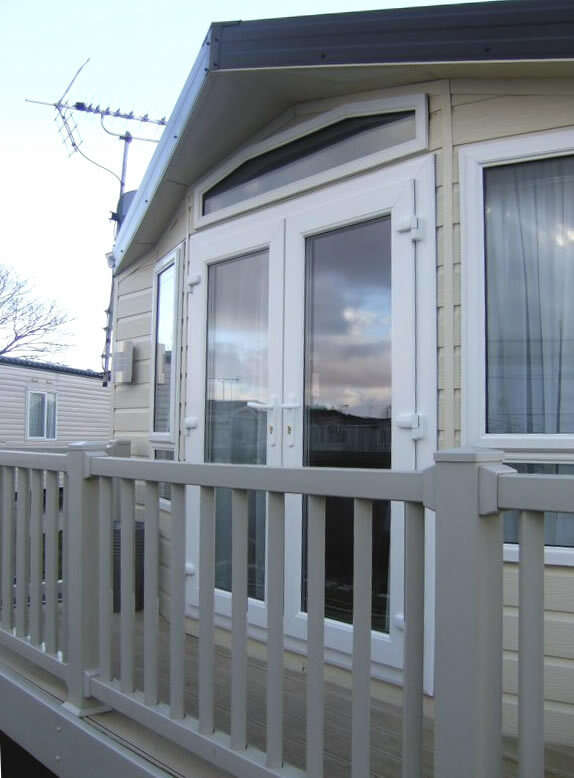 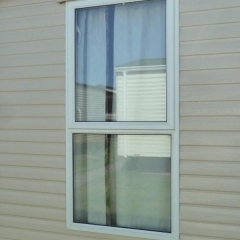 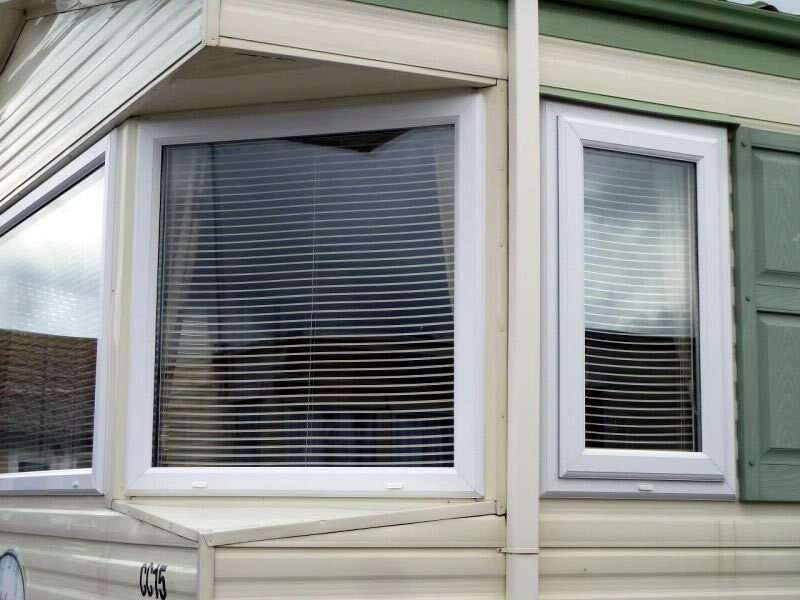 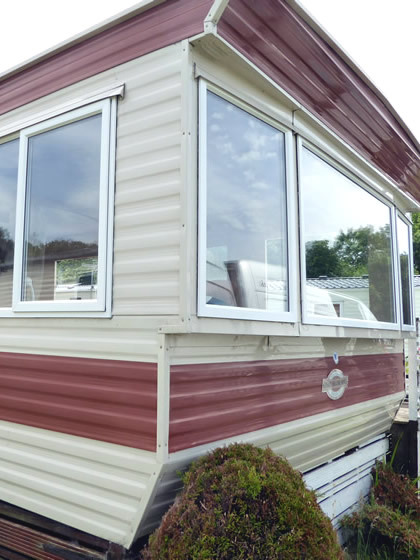 We supply and install new UPVC windows and doors for static caravans across North Wales, Mid Wales, and North West England. 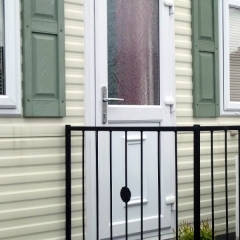 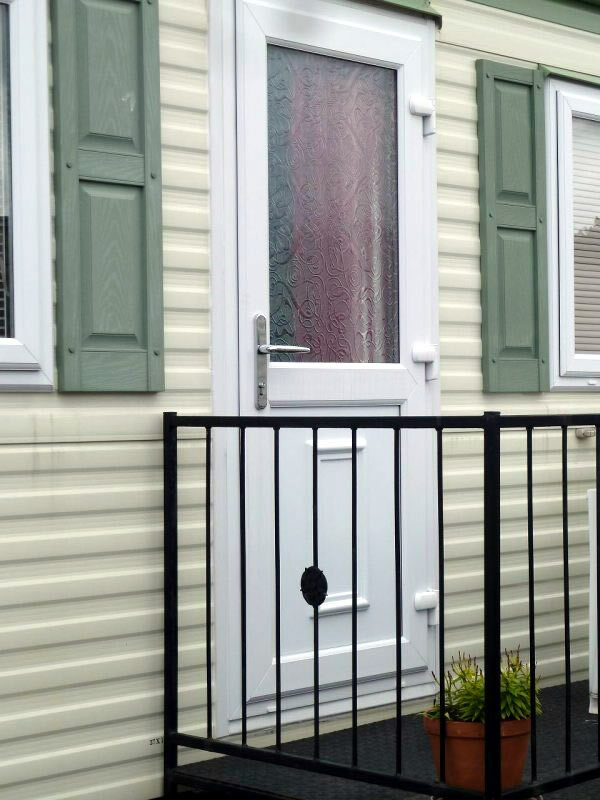 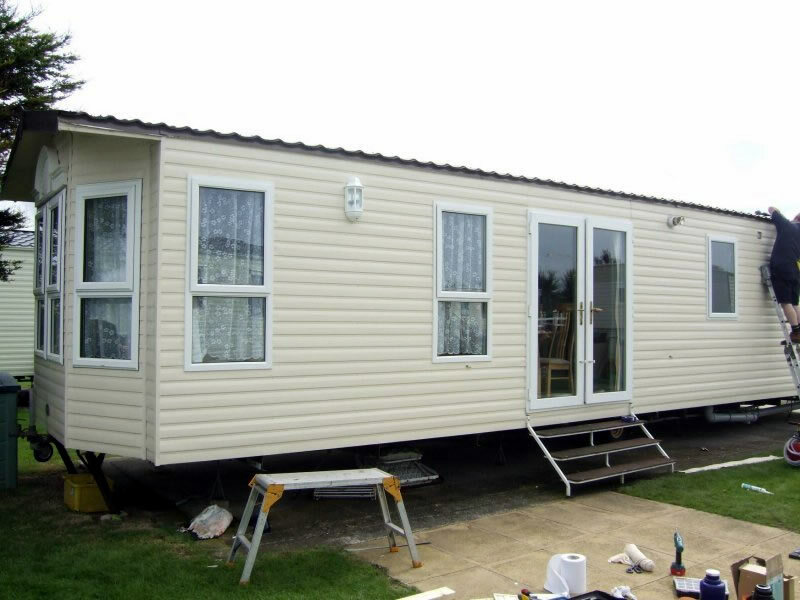 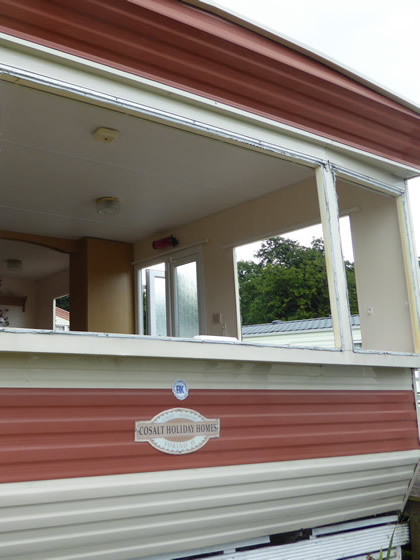 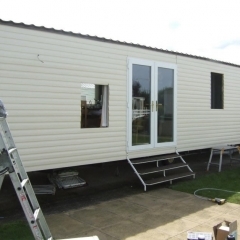 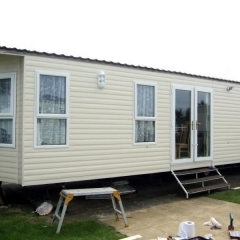 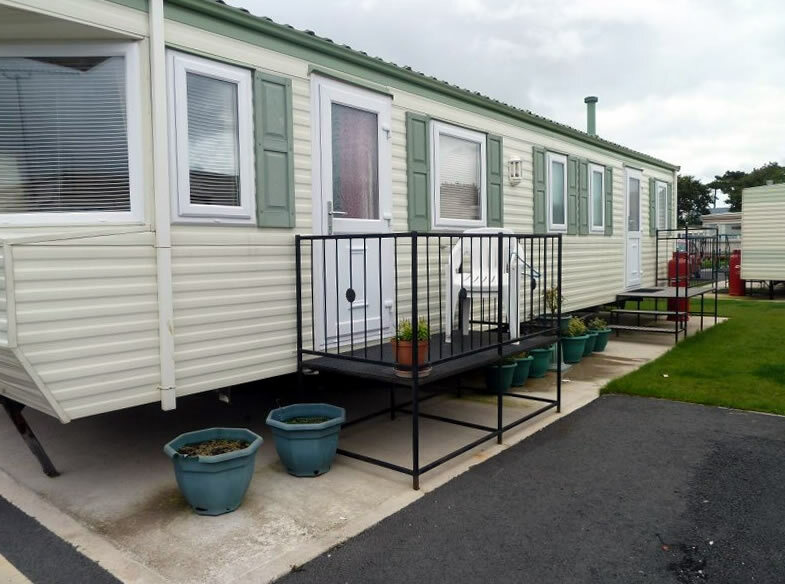 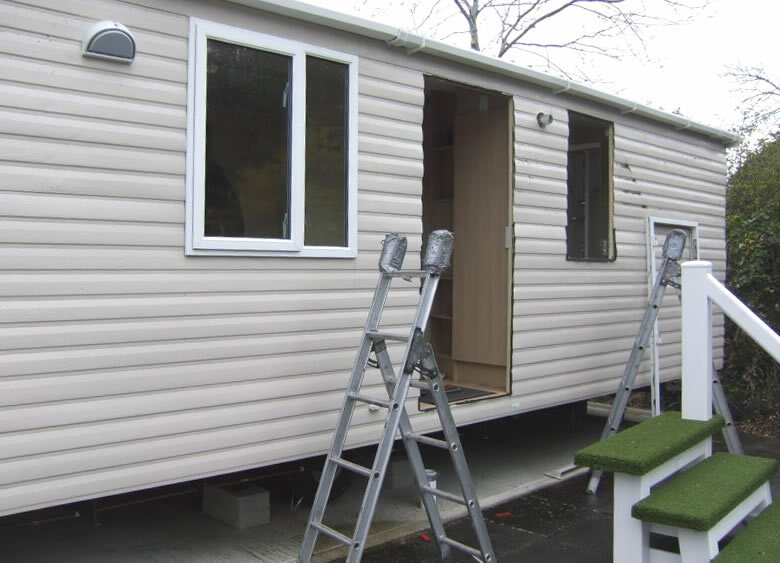 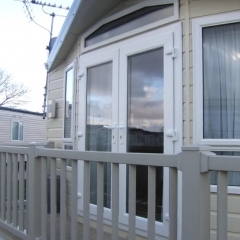 The windows and doors are designed specifically for static caravans and holiday home, with slimmer thickness dimensions in keeping with the slim wall design of holiday home construction. 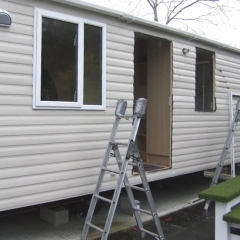 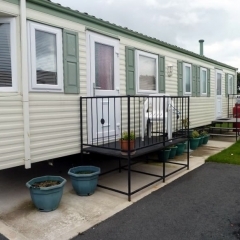 Safety is an important aspect with static caravans. 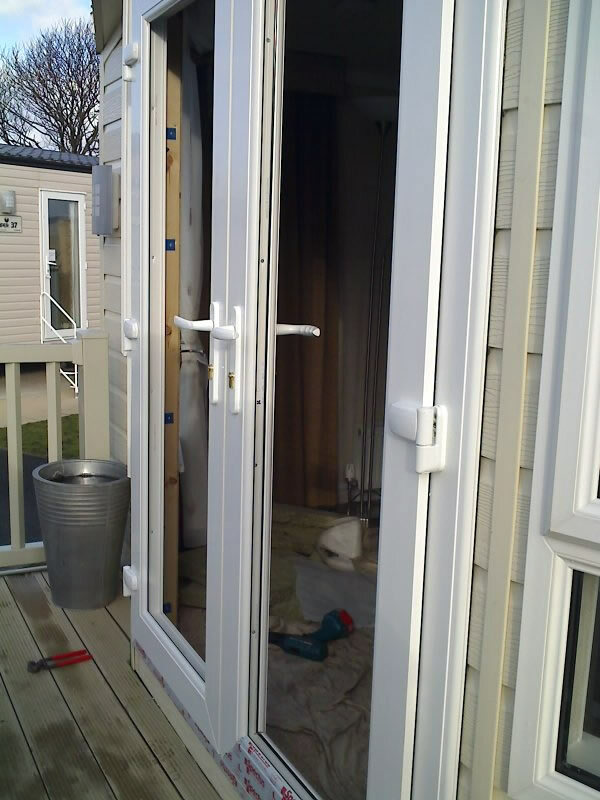 All the windows and doors we install have high security locking systems that you would expect today, all designed to British Standard requirements. 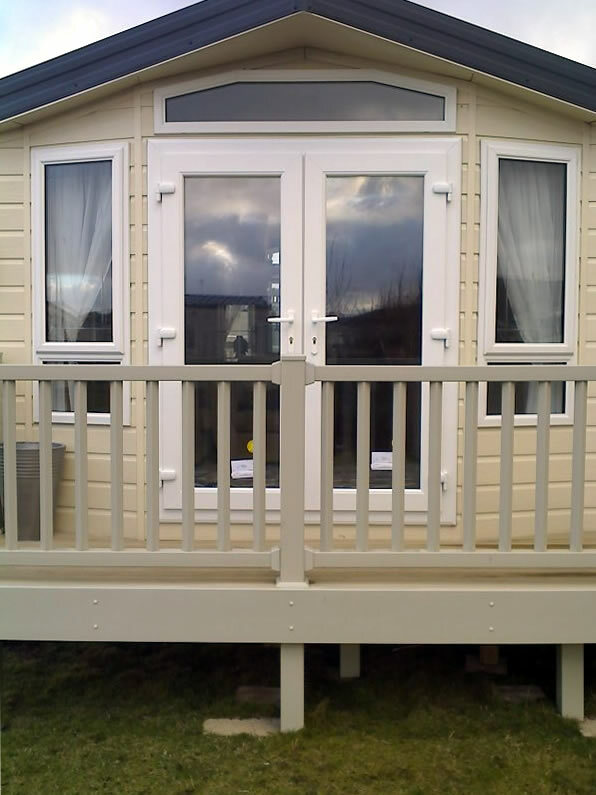 There are three colours to choose from in the range of window and doors on offer: white, mahogany and oak. 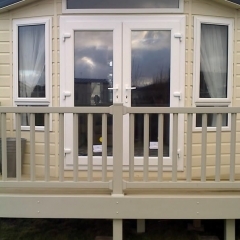 However, other colours can be quoted for. 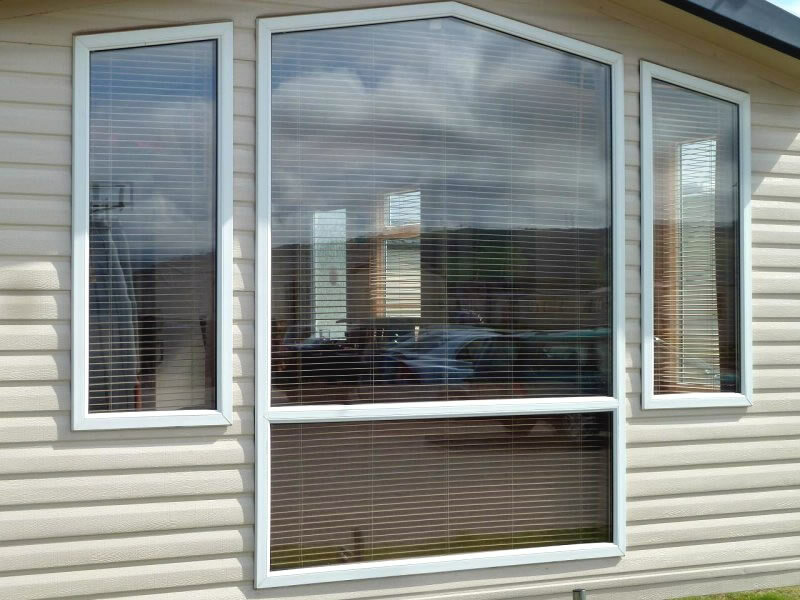 We provide a choice of glass designs and a range of featured door panels are available to choose from. 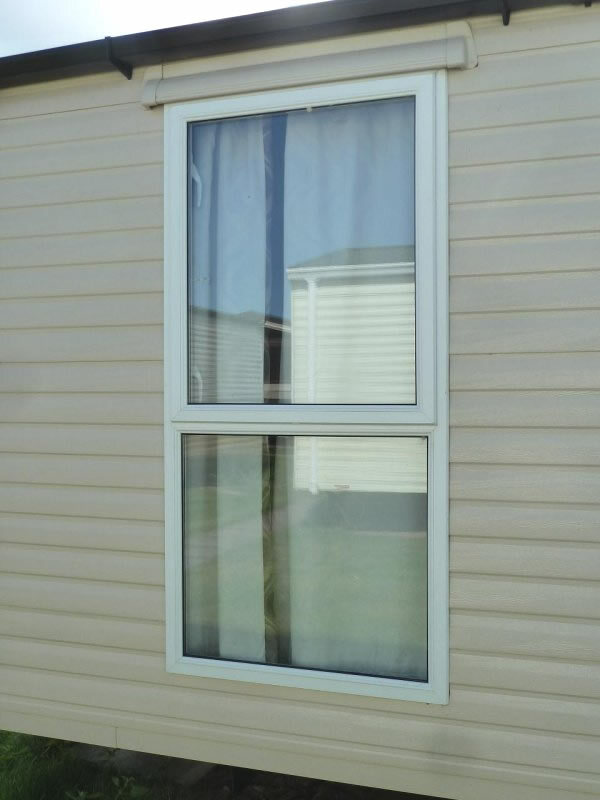 All our windows and doors come with stylish profiled internal trims and cappings. 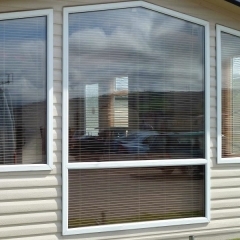 All work is full guaranteed; for peace of mind all installation work is guaranteed. 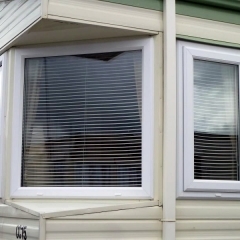 All our windows and doors are tested to the relevant British Standards. 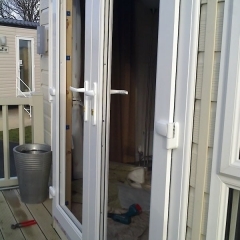 Call us today on 07710 467040 for your FREE NO OBLIGATION QUOTATION. 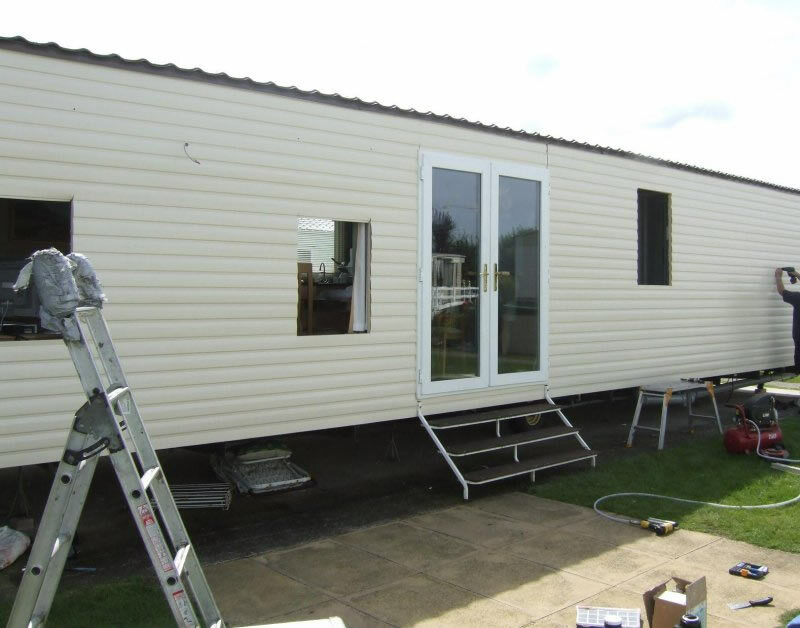 This gallery illustrates just a few examples of the caravan windows and doors replacement work we have done in recent years.